Adults with a lower vitamin D intake or low vitamin D blood levels may have a significantly increased risk of developing type 2 diabetes. Type 2 diabetes has become a significant worldwide health care challenge, as it is associated with various health problems and increased mortality risk. There is increasing evidence that vitamin D influences many non-skeletal medical conditions, including heart disease, cancer, certain autoimmune diseases and type 2 diabetes. Observational research has shown that seasonal variation in blood sugar control in the winter may be partly due to vitamin D, since vitamin D levels are generally much lower in the winter. In a study published in the European Journal of Clinical Nutrition, researchers examined the association between vitamin D status and the incidence of Type 2 diabetes. After a thorough review of the literature, 8 observational studies and 11 randomly controlled trials were included in the review. When compared to those with a vitamin D intake of <200 day="" intake="" iu="" of="">500 IU/day decreased the risk of type 2 diabetes by 13%. Compared to those with the lowest serum vitamin D levels (<14 35="" adults="" d="" highest="" ml="" mmol="" ng="" or="" status="" the="" vitamin="" with="">25 ng/ml or 62.5 mmol/L) had a 43% lower risk of developing type 2 diabetes. In two trials that included patients with glucose intolerance, vitamin D supplementation improved measures of insulin resistance. No significant effect of vitamin D on glycemic outcomes was evident in the trials that included subjects with normal glucose tolerance at baseline. The results of this review show that vitamin D may play a role in the development of type 2 diabetes, although high-quality studies are still needed to determine a potential mechanism between vitamin D concentration and relevant glycemic outcomes. J Mitri, M D Muraru and A G Pittas. 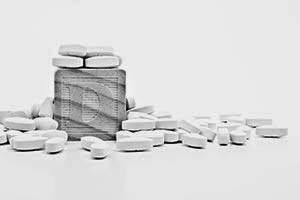 Vitamin D and type 2 diabetes: a systematic review. European Journal of Clinical Nutrition (2011) 65, 1005–1015. 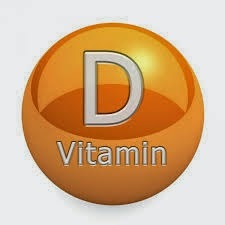 SALT LAKE CITY, July 30, 2014 /PRNewswire/ -- Do you currently take a vitamin D supplement? New research says you should. A study conducted by USANA Health Sciences, in conjunction with Intermountain Healthcare's The Orthopedic Specialty Hospital (TOSH), found that taking a daily vitamin D supplement is the best way to improve vitamin D levels in the body. The study examined levels of vitamin D in 743 male and female adults throughout the United States, between the ages of 20 and 65. "This study provides novel data indicating that the number of individuals with low vitamin D doubles during winter compared to those during the summer," said TOSH Clinical Researcher Tyler Barker, PhD. "Notably this finding underscores the impact of vitamin D supplementation in order to achieve a good vitamin D level, especially during the winter months." Research for this study, which is now published online in the European journal of Clinical Nutrition, was funded in part by USANA Health Sciences, Inc. in Salt Lake City, a leading international manufacturer of top-quality nutritional products. "USANA and TOSH are the ideal partnership for conducting nutritional scientific studies," said USANA Senior Scientist Mark Levy. "We're excited about the outcome of our research, which helps to identify risk factors for vitamin D deficiency—a worldwide health concern. And the fact that vitamin D supplementation is a safe, cost effective and potent way to increase vitamin D levels provides a promising and simple solution to the problem." In October 2012, USANA and TOSH released their joint research study, which shows a link between vitamin D and inflammation. Founded in 1992, USANA Health Sciences (NYSE: USNA) is a U.S.-based nutritional company that manufactures high-quality supplements, personal care and energy products in its FDA-registered facility in Salt Lake City. 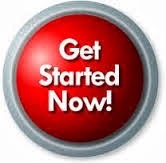 Learn more about USANA by visiting our web site http://www.usana.com or the official USANA bloghttp://whatsupusana.com. SALT LAKE CITY--(BUSINESS WIRE)--Jul. 29, 2014-- USANA Health Sciences, Inc. (NYSE: USNA) today announced financial results for its fiscal second quarter ended June 28, 2014. The Company also reiterated net sales and earnings guidance for 2014. For the second quarter of 2014, net sales decreased slightly to $188.3 million, compared with $189.1 million in the prior-year period. Net sales, on a comparative basis, were negatively impacted by: (i) $7.0 million of incremental sales in the second quarter of 2013 that occurred ahead of policy changes, which included restricting Associate purchases to their country of residence; (ii) $3.3 million from unfavorable changes in currency exchange rates, and (iii) price discounts that the Company implemented in 2013. The number of active Associates for the second quarter increased 11.4% year-over-year, and 6.8% sequentially, largely as a result of the initiatives implemented by the Company in 2013. Net earnings for the second quarter were $19.3 million, compared with $24.2 million during the prior-year period. This decrease resulted from lower gross margins and higher operating expenses, which were due largely to the pricing and compensation plan initiatives implemented by the Company in 2013. Earnings per share for the quarter were $1.36, compared with $1.72 in the second quarter of the prior year. Weighted average diluted shares outstanding were 14.2 million in the second quarter of 2014, compared with 14.1 million in the prior-year period. During the quarter, the Company accelerated its share repurchase activity by repurchasing approximately 682,000 shares under its authorized repurchase program for a total investment of $49.1 million. Additionally, as of July 25, 2014, the Company has spent $21.4 million during the month of July to repurchase approximately 285,000 shares pursuant to a Rule 10b5-1 trading plan. As of July 25, 2014, there was $129.5 million remaining under the current share repurchase authorization. The Company ended the quarter debt–free with approximately $118.3 million in cash and cash equivalents. Net sales in the Asia Pacific region increased by 1.8% to $124.6 million, compared with $122.4 million for the second quarter of the prior year. This improvement was due to nearly 14% sales growth in the Southeast Asia Pacific region, which was driven by sales and customer growth in every market in the region. Net sales in the Greater Chinaregion decreased 4.3% on a year-over-year basis, due to nearly $7.0 million in incremental sales during the second quarter of 2013 that occurred ahead of policy changes, which included restricting Associate purchases to their country of residence. Sequentially, net sales in the Greater China region increased 4.6% due to double-digit sales and customer growth in China. The number of active Associates in the Asia Pacific region increased by 16.9% year-over-year, due to double-digit Associate growth in the Greater China and Southeast Asia Pacific regions. Net sales in the Americas/Europe region declined 4.7% to $63.7 million, due primarily to a sales decline in the U.S., which was partially offset by net sales growth in other markets in the region. The number of active Associates in this region was flat. “Our business continues to produce strong results in Asia Pacific, as nearly every market in this region delivered sales and customer growth during the quarter. As we anticipated, our performance in China accelerated during the quarter and produced double-digit sales and customer growth compared to the prior quarter. We expect our results in China to continue to accelerate as the year progresses and remain confident in our long-term growth potential in this important market. We also have initiatives planned for the second-half of 2014 that are designed to drive sales and customer growth in each of our regions, with an emphasis on North America and the United States in particular. We look forward to hosting our 22nd Annual International Convention in August, where we will make several exciting announcements,” concluded Mr. Wentz. 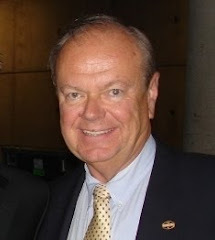 Kevin G. Guest, 51, has been promoted to President of USANA world-wide effective August 1, 2014. Mr. Guest will focus his efforts on sales growth, customer growth and sales force development. Mr. Guest has been with the Company since 2003 and has served in a variety of leadership positions within the Company over the last 11 years. Most recently, he has served as President of the Americas, Europe and South Pacific since October 2012, where he has designed and executed initiatives that have generated growth in these regions. “Kevin has been extensively involved with USANA since the Company was founded more than 20 years ago,” saidDave Wentz. “His vision for the business, dedication to customers and employees, and overall integrity and leadership have been and will continue to be invaluable to our organization,” concluded Wentz. Beginning August 3, 2014, Dave Wentz will reduce his time in the office for one year to spend more time with his family. During this time, Mr. Wentz will focus his efforts on strategic initiatives, business development, the True Health Foundation and customer events, including the Company’s international and regional conventions. He intends to return to his full-time role on August 3, 2015. USANA will hold a conference call and webcast to discuss this announcement with investors on Wednesday, July 30, 2014 at 11:00 AM Eastern Time. 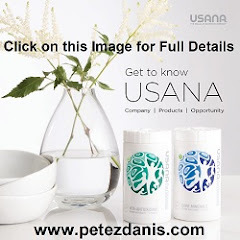 Investors may listen to the call by accessing USANA’s website athttp://www.usanahealthsciences.com.